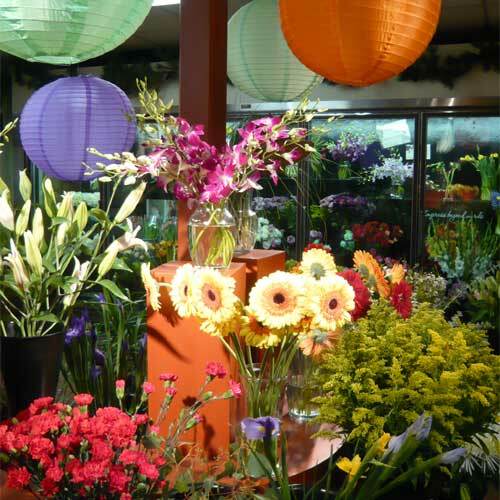 Our mission is to provide you with the highest quality flower arrangements and plants available. 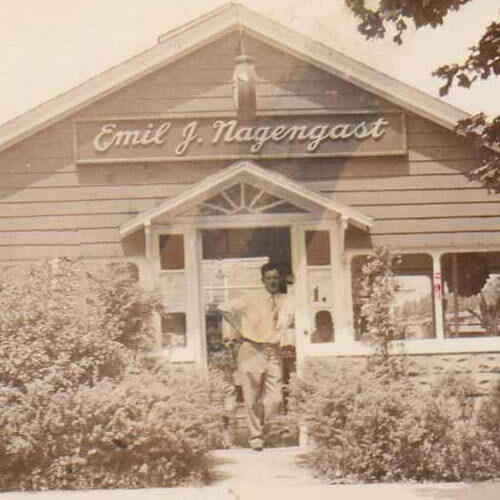 The same old-fashioned pride and caring that was present when Emil J. Nagengast began selling on this corner in 1910 is still present in the Nagengast Family. We strive to exceed your expectations by putting all efforts into providing you with the very best value in fresh, lasting flowers. We are committed to establishing a long-term, trusting relationship with our customers- one that lasts generations! We back all of the selections in this catalog with our 100% Satisfaction Guarantee. If for any reason, your order does not meet your expectations for freshness, we will be happy to replace it. We guarantee prompt, courteous delivery of your order in the time-frame promised, as long as the recipient is available. All we ask is that you provide us with the correct address, zip code and phone number. Our shop will always be closed for delivery on the following holidays: Thanksgiving Day, Christmas Day, New Year’s Day, Easter, Mother’s Day, Memorial Day, Father’s Day, Independence Day and Labor Day. Each year the Society of American Florists recognized florists that celebrate 100 years in the floral industry. This year Emil J Nagengast Florist was given the Century Award in recognition of 100 years of outstanding service to the floral industry. We thank SAF for the honor and we thank our loyal customers who have invited us to share in their special days since 1910. From North: Take I-87 south to EXIT 1E, stay to the left for I-90 EAST. Continue on I-90 3.5 miles to EXIT5, Everett Road. Take EXIT 5 and make a right at the end of the exit ramp. Take Everett Road .3 mile to Central Avenue. Make a left onto Central Avenue and follow 1 mile to Ontario Street. Make a right on Ontario Street and continue for .1 miles. 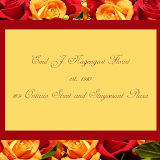 Emil J Nagengast Florist will be on your right. We are number 169 Ontario Street. From South and East: Take I-90 west to EXIT 5 Everett Road. Take EXIT 5 and make a left at the end of the ramp. Continue .4 miles to Central Avenue. Make a left on Central Avenue and follow 1 mile to Ontario Street. Make a right on Ontario Street and continue for .1 miles. Emil J Nagengast Florist will be on your right. We are number 169 Ontario Street. From West: Take I-90 east to EXIT 5 Everett Road. Take EXIT 5 and make a right at the end of the ramp. Continue .3 miles to Central Avenue. Make a left on Central Avenue and follow 1 mile to Ontario Street. Make a right on Ontario Street and continue for .1 miles. Emil J Nagengast Florist will be on your right. We are number 169 Ontario Street. From North: Take I-87 south to it's end at Western Avenue. Make a left on Western Avenue and continue for .3 miles and Stuyvesant Plaza is on the left. From South and East: Take I-90 West to Exit 2 for Fuller Road, toward UAlbany. Make a left on to Fuller Road and go 1.1 miles. Stuyvesant Plaza will be on the right. From West: Take I-90 east to the Western Avenue/ US-20 exit. Merge on to the Adirondack Northway South and continue .6 miles to Western Avenue. Make a left on to Western Avenue and continue .3 miles. Stuyvesant Plaza will be on your left. Daily deliveries to: Albany College of Pharmacy, Albany Law School, Saint Rose College, SUNY, Albany Medical Center, Memorial Hospital, St. Peter's Hospital, Mercy Care, Theresian House, Daughter's of Sarah, Avila, State Office Buildings, Crossgates Mall, and the following funeral homes: Applebee, Chicorelli, Frederick, Garland, Hans,Keenan, Lasak- Gigliotti, Levine, Lyons, Magin and Keegan, McVeigh, Newcomer Cannon, Reilly, Rockefeller, Tebbutt, and Zwack. Click here to see a google maps link to our store location. Julie Blair Nursing & Rehab Lasak & Gigliotti, Inc.
Trust your important day to a florist that has been making dreams come true since 1910. Nothing predicts future success like past success; and Emil J. Nagengast Florist has been guiding brides to help them achieve their personal vision for nearly one hundred years. Whether your wedding style is classic or contemporary, our professional wedding designers will assist you every step of the way. Call for a consultation at 518.434.1125 or request an appointment online. Be sure to browse our inspirational photographs of flowers for the ceremony including bridal bouquets, bridesmaids bouquets, corsages and boutonnieres. 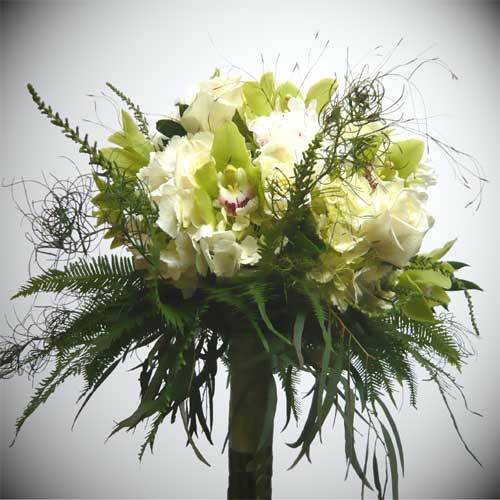 Visit our collection of flowers for the reception. Our centerpieces and cakes will inspire your imagination. 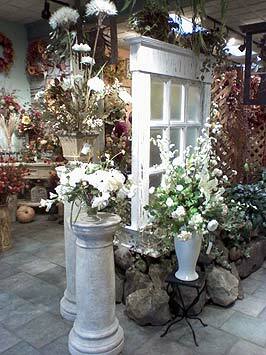 Emil J. Nagengast Florist specializes in custom funeral pieces. For five generations, the Nagengast family has personalized tributes to help achieve meaningful funerals. 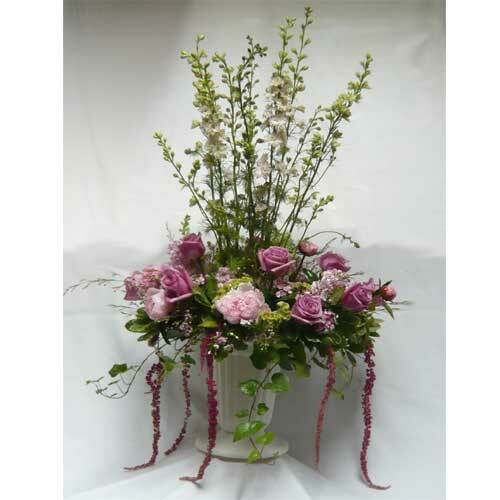 Distinctive sprays for the casket, baskets, sprays, crosses, wreaths, hearts, pillows and plants for the service and sympathy arrangements in baskets and vases for the home are all available online. Please call us with any questions you may have or to discuss how we may help you create a memorable tribute. Emil J. Nagengast Florist contributed four designs to the Museum this year. Deb Dempsey, Pamela Nagengast , Susie Nagengast and Margie Amodeo designed pieces to complement the museum's exhibits. The Nagengast family is proud to continue supporting local programs that educate both children and adults about our precious and fragile environment and the fascinating history of New York State. The Capital District Garden and Flower Show is an epic event each spring at the Hudson Valley Community College in Troy, NY. Florists, gardeners, landscapers and vendors from the Northeast converge for a weekend to share green ideas and support the Wildwood Programs. This year we were pleased to participate once again. We were even rewarded a prize for our entry in the competition to create botanical shoes and a purse. Thanks to all the workers and volunteers that made the Show such a fabulous success! Within Albany a delivery fee will be added to each order, for each address. (For deliveries outside our local area this fee may vary.) U.S. orders must be recieved before 12:00 noon in the recipient's time zone to assure same day delivery. 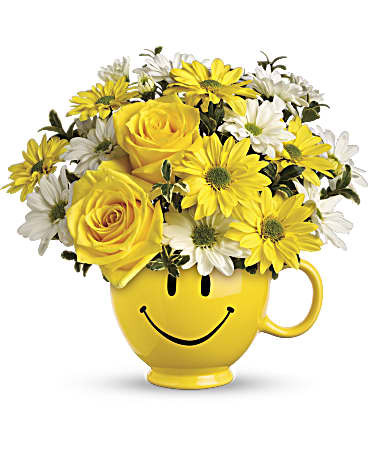 Orders received after 12:00 noon in the recipient's time will be delivered the following day.